The recent election of António Guterres as United Nations secretary-general not only drew attention to his credentials, but also put his own country, Portugal – home to just over 10 million people – under the spotlight. There’s nothing new in a global leader coming from a small country. But when just one of them gives the world several political leaders with international profiles in a short time frame, one needs to pause and wonder why. 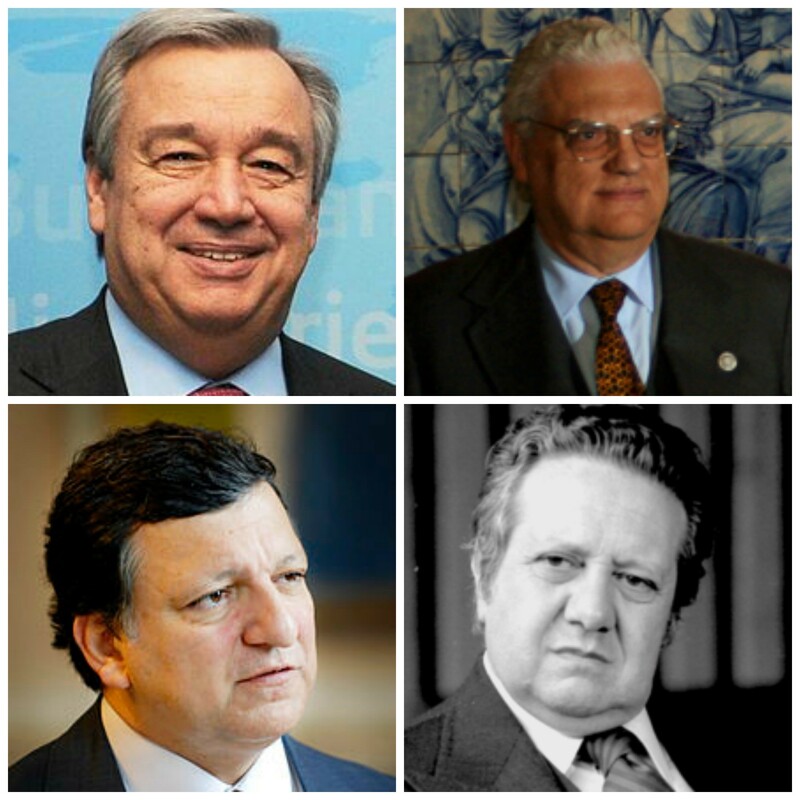 Among all elected Portuguese heads of state and government since the inception of democracy in 1974, only five have not taken off internationally after serving their country – most of them because of factors outside of their control. There are examples from other European countries of former heads of state or government resuming their careers on an international stage – Carl Bild and Romano Prodi come to mind. But they are the exceptions in their countries and not the rule. The Portuguese setting is even more intriguing because, as a general rule, few Portuguese over the age of 50 have excelled globally in fields other than politics. If we discount sports stars (such as soccer player Eusébio or marathonist Carlos Lopes) and the political leaders mentioned above, only two Portuguese have received a Nobel Prize or made it into the TIME list of most influential people or the Foreign Policy list of global thinkers. They are novelist José Saramago and neurologist Egas Moniz. If we use the same logic to compare Portugal with other European nations of a similar size, Guterres’ country doesn’t fare well. Ahead of Portugal is Sweden (36 people), Austria (20), Belgium (18), Hungary (11), Czech Republic (9) and Greece (7). Portuguese businessmen, scientists or artists of a certain generation have not excelled on the international stage. So what it so particular to Portuguese political leaders? At least four reasons may explain the phenomenon. Portugal lived under the conservative authoritarian rule of António de Oliveira Salazar from 1933 to 1974, which muffled millions of people but triggered defiance from a significant few. Mário Soares, a long-time opponent of the dictatorship, was deported to Africa and later exiled in Paris. Jorge Sampaio led student demonstrations in Lisbon. And Durão Barroso was a Mao Zedong follower in his rebel youth. Salazar’s autocratic rule had the unintended consequence of creating a generation of spirited and politically driven leaders, who nourished underground links with mission-aligned players internationally, and who took up political positions after the 1974 Carnation Revolution. Portugal’s semi-presidential system discourages dormancy. The president, the government, the parliament and political parties are daily immersed in public political contention. The prime minister is questioned by parliament every other week (something like Britain’s PMQs) and visits the president every week. Representative for political parties are always in the media, talking about their policies and sword-fighting over different positions. The population demands eloquence and forcefulness from its political leaders – arguably even more than in other countries. Slips in language are heavily scrutinized, and that experience probably served Guterres well – he was widely seen as the best of all the secretary-general candidates when it came to debating skills. When asked about his credentials in handling intricate global conflicts, Guterres often drew on episodes from his “intense” time as a party leader in Portugal. He was groomed at home. On the diplomatic stage, Portugal is a colourless country. Its stance is generally the same as the EU’s, and its faltering voice is often lost in the global cacophony. Besides pushing towards stronger cooperation between the Portuguese-speaking countries and calling for stronger links between Europe, Africa and Latin America (where its former colonies are located), it has no agenda of its own that could risk stirring global waters. That has earned the country a reputation for being consensus-based – a Sweden of Southern Europe. And in the eyes of global powers, Portuguese unobtrusiveness and its small size makes it just right for these global roles. The five permanent members of the UN Security Council and the wealthier European Union member states had very little to pin on Portugal when engaged in backroom horse-trading during the UN and EU selection processes. Portugal was a country with an overseas presence from 1415 to 1999, when Macao was handed over to China. Although the Portuguese, unlike other nations, don’t mourn the loss of their past glories, growing up in Portugal still means having a wider sense of the world. Portugal’s understanding of “the other”, of distance and of frontiers does not match its small dimensions. Foreign lands are not treacherous grounds. If older Portuguese generations did well globally mostly on the political front, the younger “European generation” seems to be more multifaceted and better equipped. Major investments were made in education and science (it has seen the largest growth in number of PhDs over the past two decades of any EU country) and Portugal is currently in the spotlight for its cultural sophistication, liberal lifestyle, and its role as a global hub of entrepreneurship and innovation. Portuguese human capital seems to hold the key to an auspicious future. The country is also gradually renovating its political class. If we look at the formation of the incumbent government, two key ministers – education and economy (planning and infrastructure) – are under the age of 40. One of the most talked about members of parliament, Mariana Mortágua, is 30. The Communist Party spokesperson is 37. The president of the CDS-PP (the second largest right-wing party) is 41 and became minister at the age of 36. Most of them were teenagers when António Guterres first took office as prime minister. But the “intense” political cultural they are growing up in remains the same. António Guterres has landed 'the most impossible job on earth’. So what does the head of the UN actually do?